The Chicago Police Department has released photos from a surveillance video showing “potential persons of interest” in the Tuesday attack on “Empire” actor Jussie Smollett. The photos, released Wednesday afternoon, show two silhouettes walking in the area of where Smollett was sometime between 1:30 a.m. and 1:45 a.m., but does not show the actual attack. Chicago police said they would like question the two people. 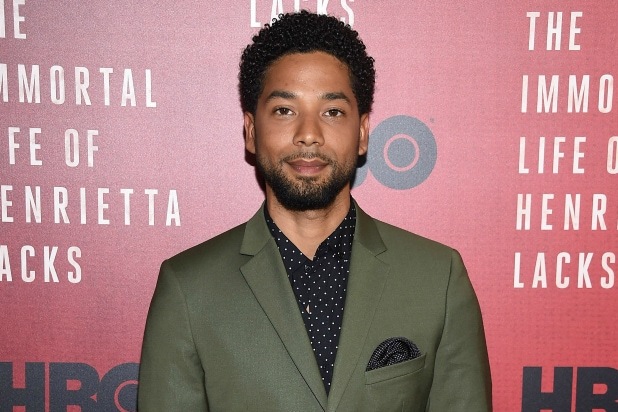 Chicago police officer Michelle Tannehill told TheWrap that Smollett did not initially mention the attackers shouting about MAGA — an abbreviation of President Trump’s “Make American Great Again” slogan — but did bring up “MAGA” in a follow-up interview.